Many of us spend money for the hair stylist or at-home hair dye to get that perfect color, but soon it seems to lose the luster and color intensity. Here are a few tips and easy changes you can make in your routine that can help extend the life of your beautiful color, without making it look dull and lifeless. While long, hot showers are an ultimate bliss, they are harmful to skin and hair. Hot showers strip your hair and skin of moisture and it is even more noticeable if you have colored hair. 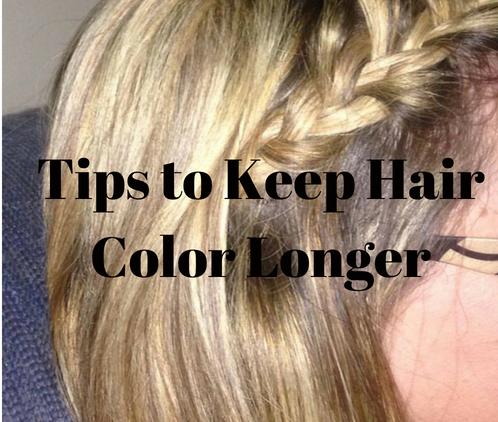 The colors wash off faster and leave your hair looking drab. Hot water can also strip your hair of its moisture, so try to rinse your hair out with cool water. To enhance the shine and vibrancy of your hair, use shampoos and conditioners formulated especially for color treated hair. They are much gentler and infuse hair with nutrients that lock the color. A few inexpensive but great options are – L’Oréal Paris Color Vibrancy Shampoo and Conditioner, Kerastase Reflection Bain Chroma Captive Colour Radiance Protecting Shampoo and John Frieda Precision Foam Colour Intense After-Colour Conditioner. Reducing the frequency of washing your hair and using sulphate-free products will also help to keep the color. Color treated hair needs a little extra TLC and using a deep conditioning mask once a week will keep your hair soft, smooth and manageable as well as keep the hair color looking fresh and vibrant. 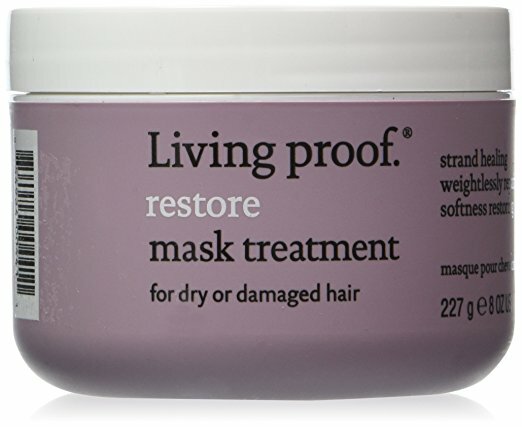 Eva NYC Therapy Sessions Hair Mask is always one of my favorites. 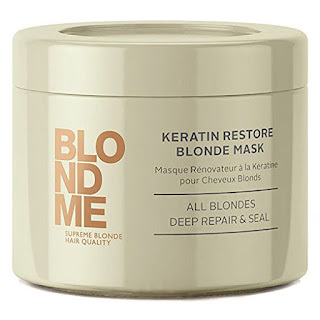 You might want to try Living Proof Restore Mask Treatment or SchwarzkopfProfessional - Blondme Keratin Restore Blonde Mask Treatment, both will restore the hair and protect hair color. Here is a blog post using DIY hair masks and treatments - HERE and HERE. That doesn’t mean you need to throw away your curling iron or blow dryer, it just means trying to limit how much heat you subject your hair to. I try to let my hair air-dry when possible and I try to limit curling or straightening my hair to a few times a week.